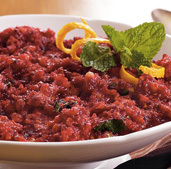 71% of school foodservice professionals use cranberries in salads - according to a 2016 survey. 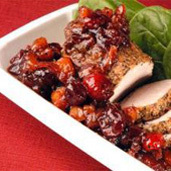 Cranberries are a versatile, budget-friendly fruit that can be easily added to a variety of sweet and savory kid-friendly recipes for breakfast, lunch and snack. 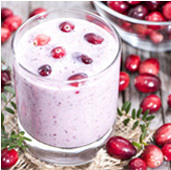 Whether dried, in sauce, frozen or fresh, cranberries are available year-round and count toward school foodservice fruit servings required by the USDA National School Lunch Program (NSLP). 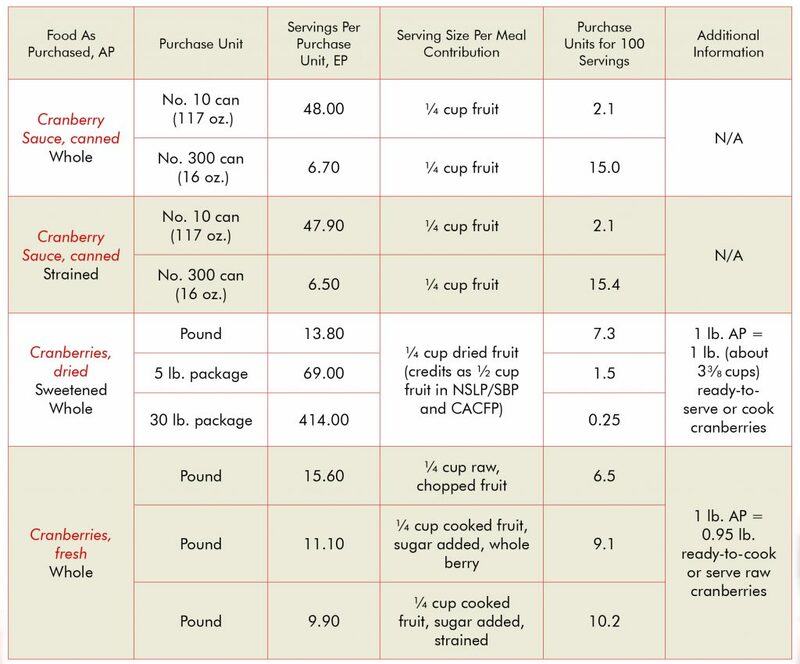 Since dried fruit is creditable at twice its volume, even 2 Tbsp (1⁄8 cup) of dried cranberries per serving counts toward daily fruit requirements. 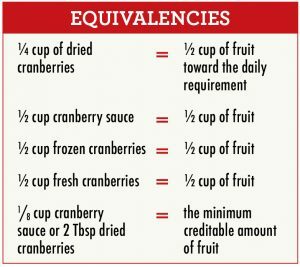 One-quarter cup of dried cranberries has a similar calorie content to other dried fruits, making it a suitable choice while staying within calorie limits. 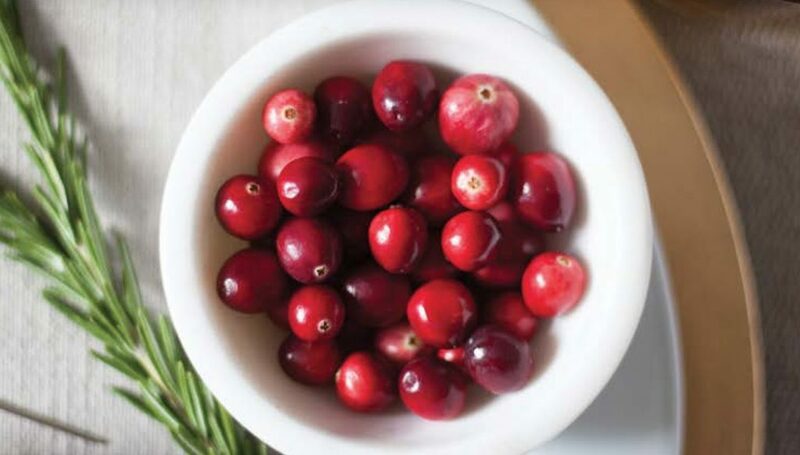 Cranberries are a great way to add more variety, color, flavor and health benefits to school meals. 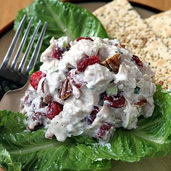 They can help fulfill USDA fruit requirements in a range of recipes, from yogurt parfaits to veggie wraps, and because they’re available dried, frozen, fresh or as sauce, they are easy to add to your menu any time of year. 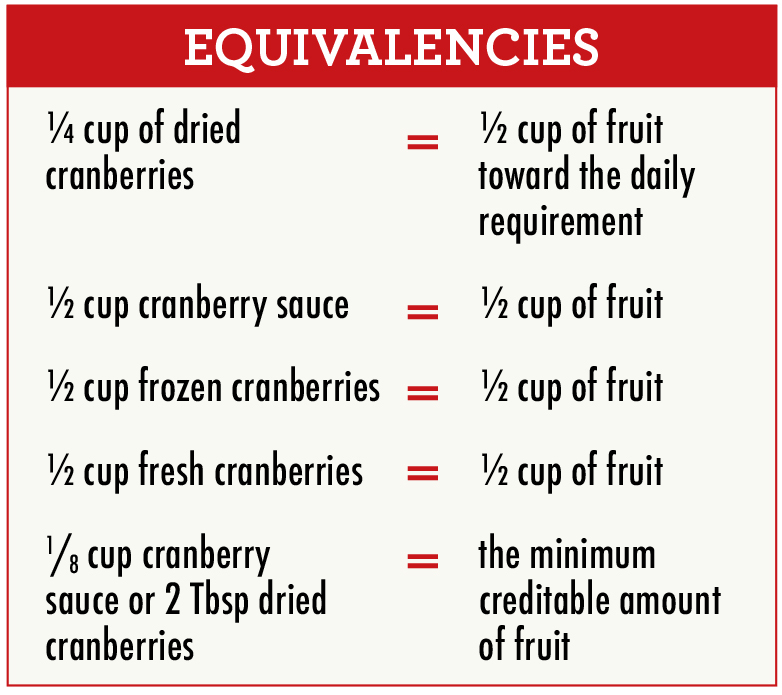 Entitlement dollars can be used to order cranberry products that are on the USDA Foods Available List.1 Cranberries can also be easily purchased through your school’s food vendors or directly from cranberry suppliers. 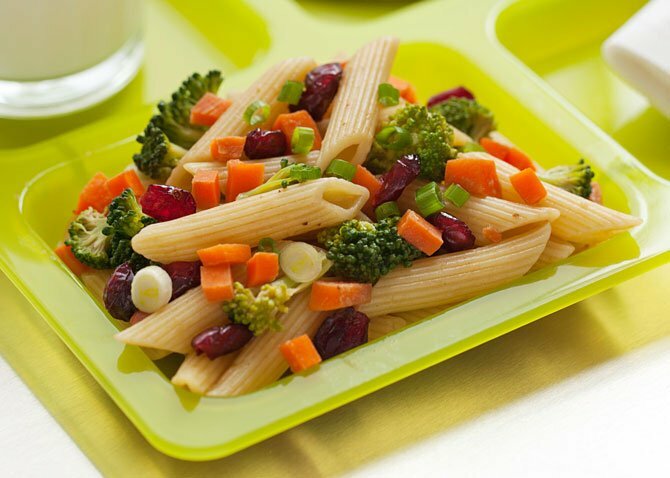 Nutrition Standards in the National School Lunch and School Breakfast Programs; Final Rule.” 77 Federal Register 17 (26 January 2012), pp. 4088-4167. 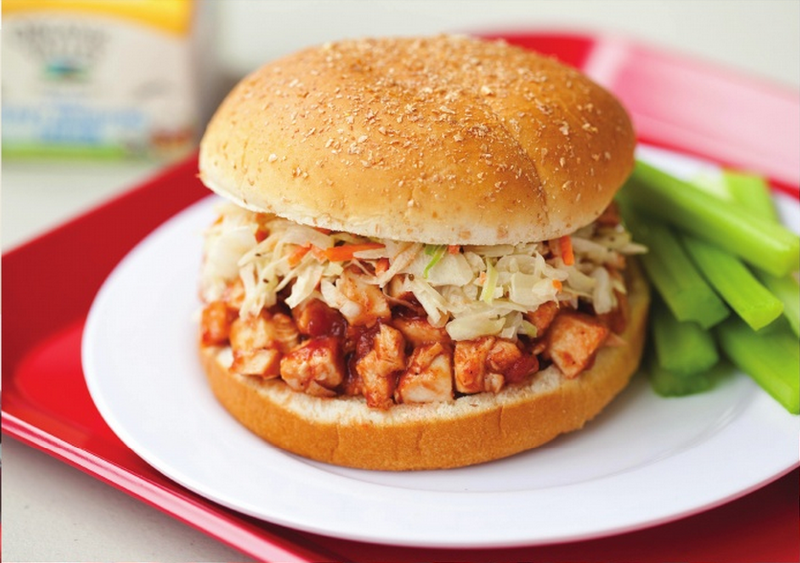 United States Food and Drug Administration. 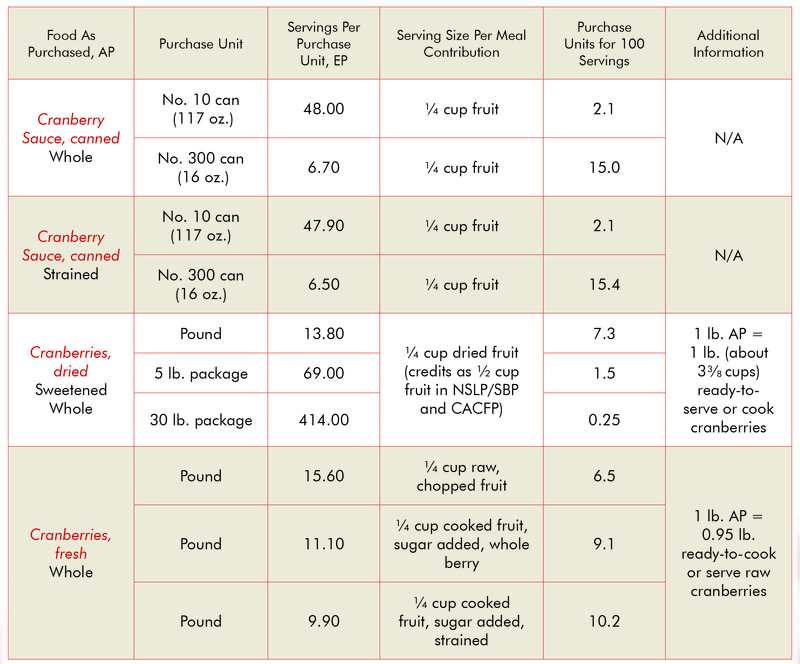 Guidance for Industry: A Food Labeling Guide (9. Appendix A: Definitions of Nutrient Content Claims). Updated October 2009.